After legalization of weed in 1996, there has been an outbreak of weed schools popping up all over the internet. Never know who you can trust, especially in weed industry. 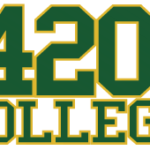 Every weed school has their own idea of what’s legal and what’s not. But there is only one right way of doing things. A weed school should be teaching all about the latest rules and regulations with their own interpretations. I’ve heard of lawyers teaching in weed schools about receiving donations for marijuana. If you have a brain, then you know that when you give a donation to a non-profit, you don’t get anything back. Why would a weed school be telling people to receive donations for weed?? I don’t know, maybe it’s the weed that’s making them think that way. 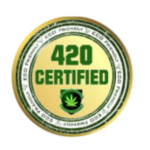 420 College weed school is you place for weed education. Weed school.